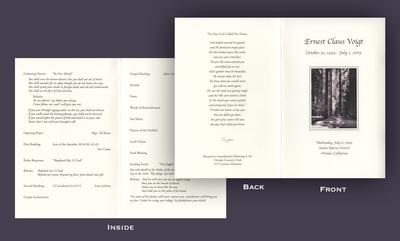 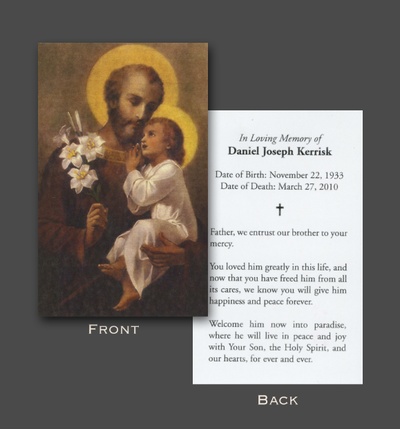 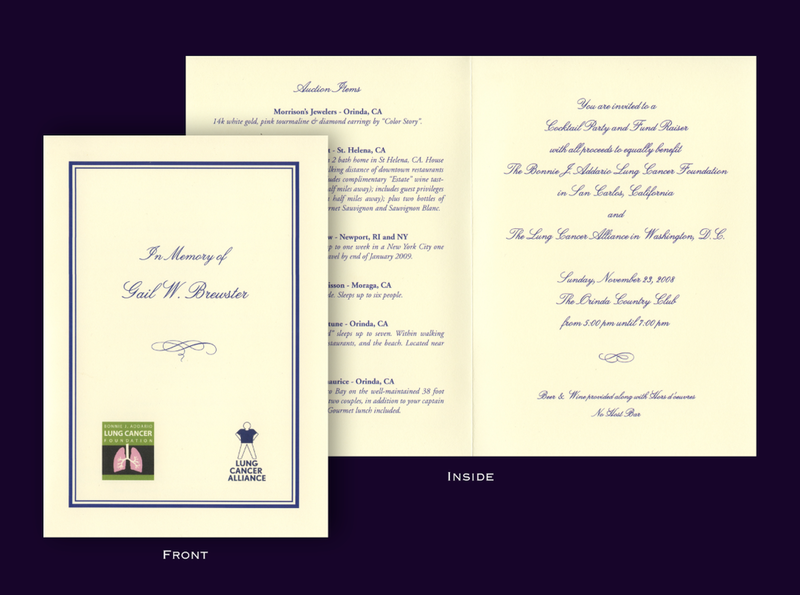 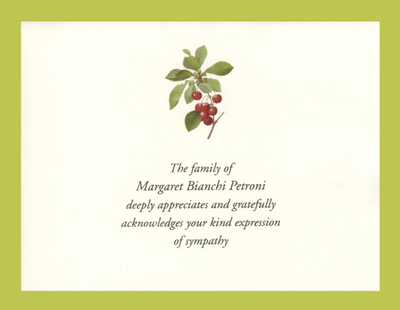 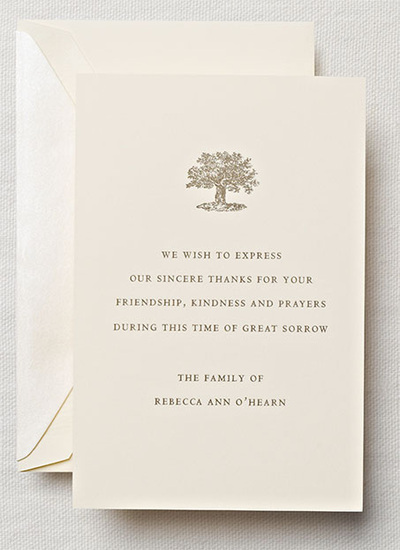 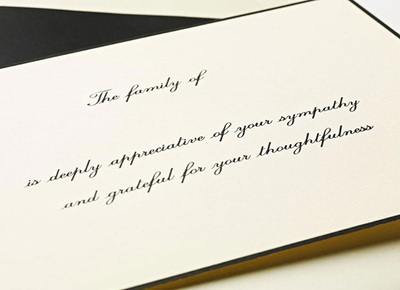 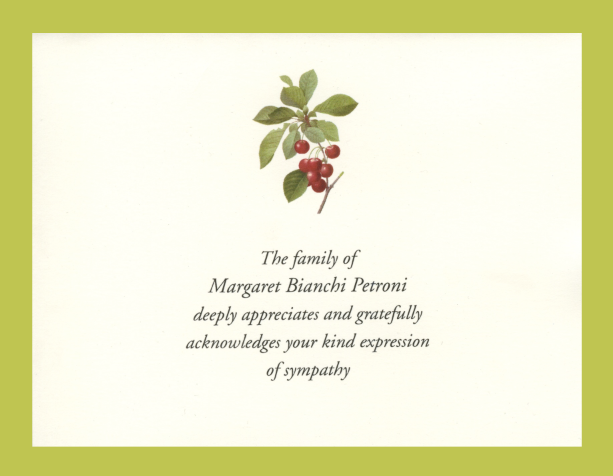 Customized memorial stationery products that comfort families by commemorating the unique lives led by their loved ones. 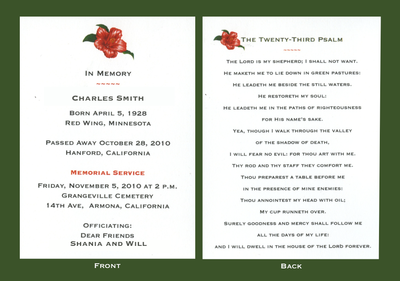 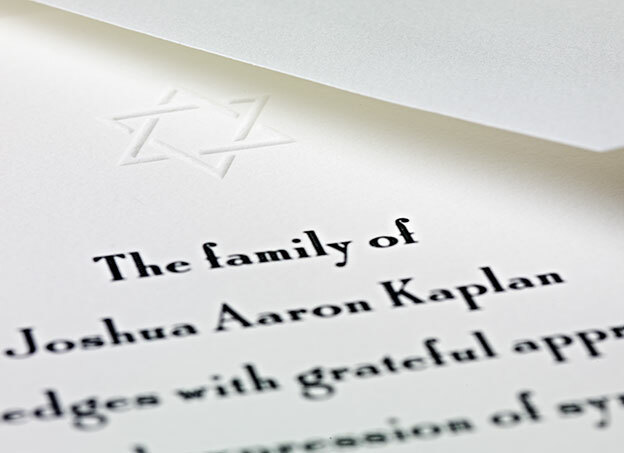 Let us assist you with creating a customized printed piece that your family and friends will treasure for years. 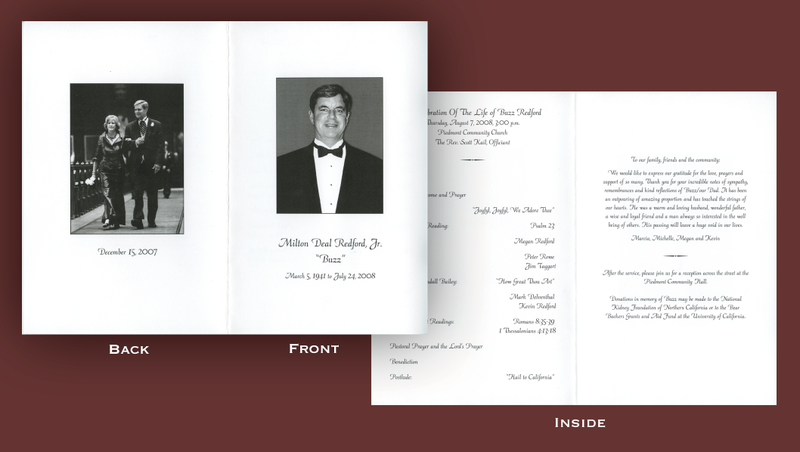 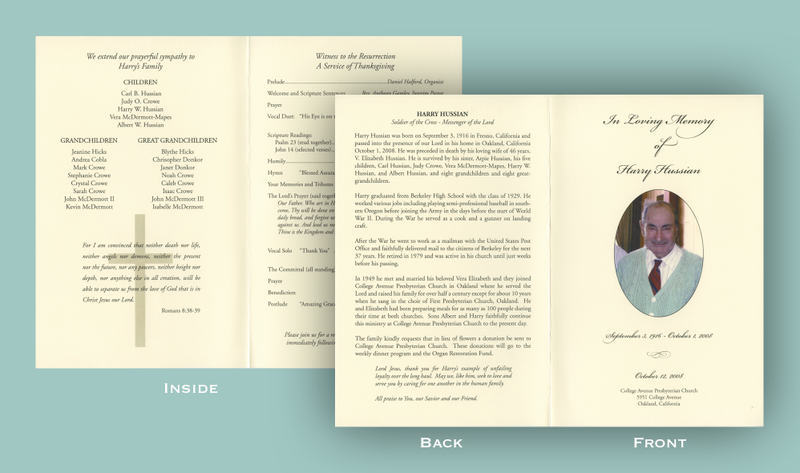 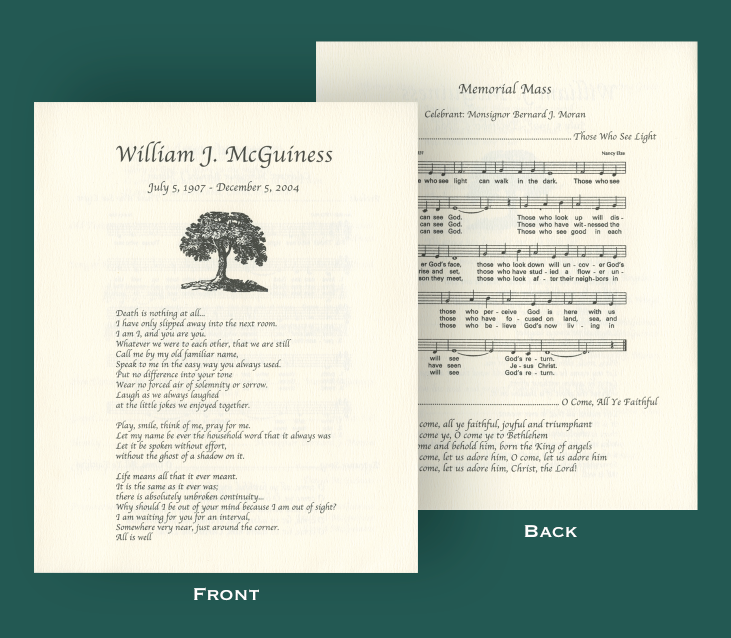 Our selection includes memorial programs, funeral folders, sympathy acknowledgment cards, foldover notes, and prayer cards.